P.S. - The winner of the fancy 'ooh la la' pencils is Rebecca Woodcock--Congrats and email me to claim your prize! Love this casual look! That necklace is amazing! 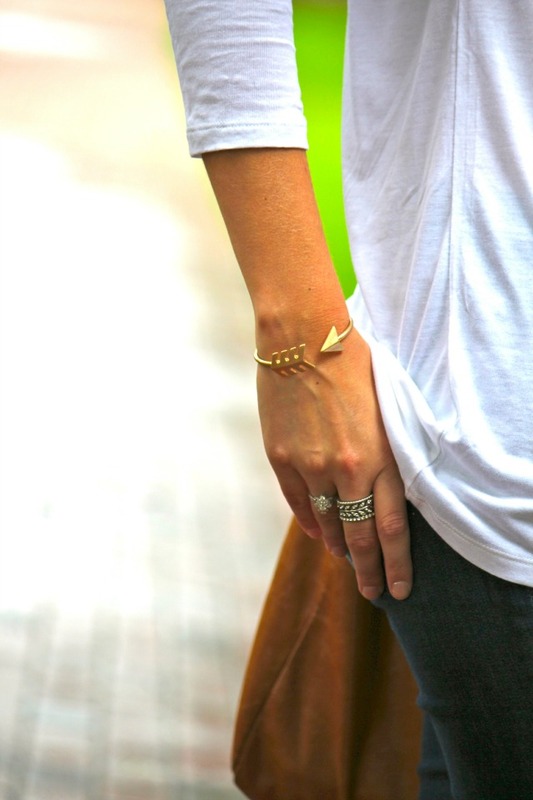 This is so cute and comfy looking...jeans and a white slouchy shirt are the best! So pretty! Love this cute and casual look. I definitely want to get a pair of red hunters!! cutest rainy day outfit ever!! I need some hunters in my life! I've been eying Hunter boots for ever now, I really need to take the plunge and buy a pair! Love this outfit! 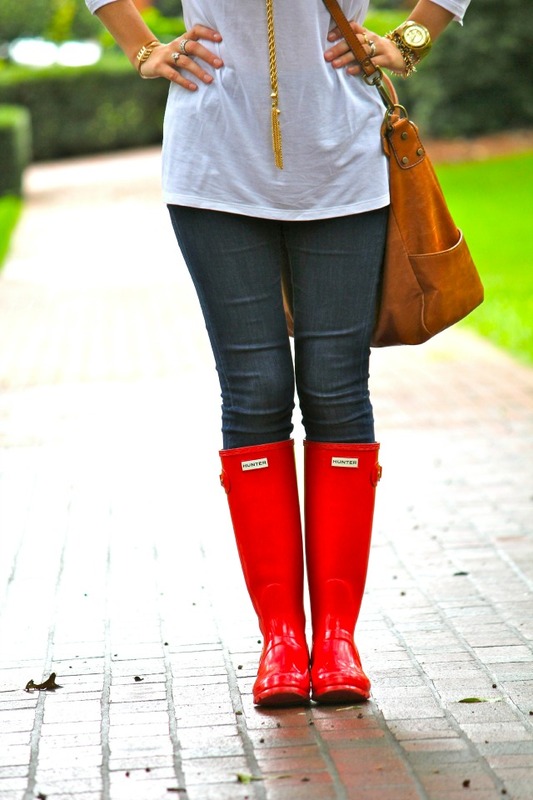 Such a perfect, simple outfit for a rainy day! Plus, you're absolutely gorgeous! 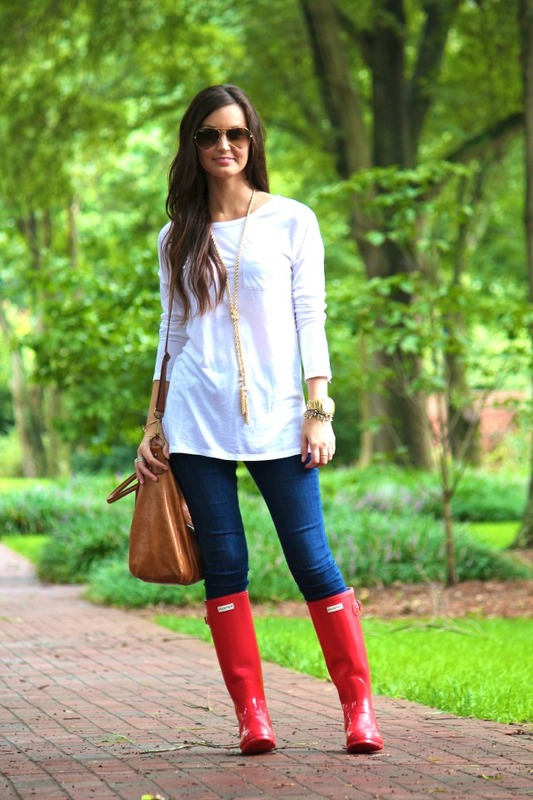 love your red hunter boots! I love those red Hunters! 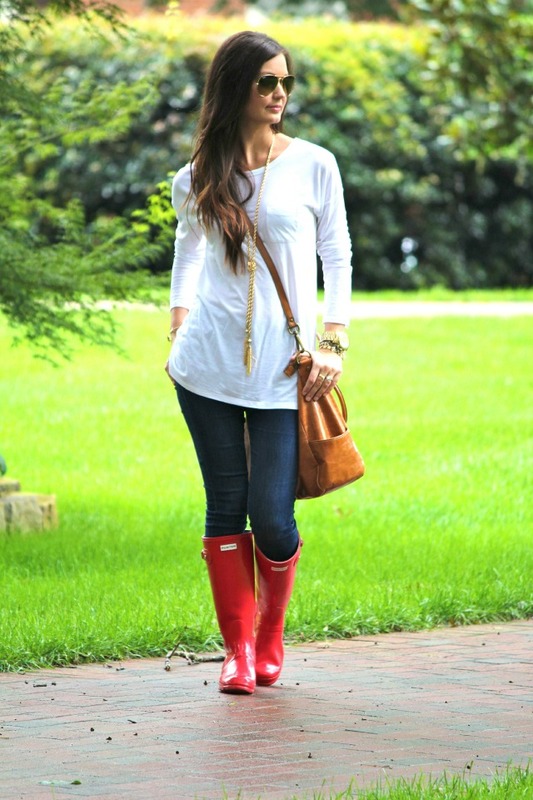 Perfect rainy day outfit! Those boots are amazing! Loving this outfit!! Loving everything about this casual look! Cute bracelet! It reminds me of cupid's arrow for some reason.